Multiple theories of Attention-Deficit/Hyper- activity Disorder (ADHD) have been proposed, but one that has stood the test of time is the dopamine deficit theory. 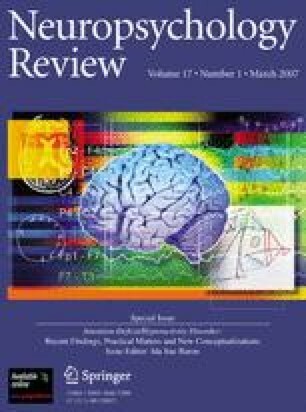 We review the narrow literature from recent brain imaging and molecular genetic studies that has improved our understanding of the role of dopamine in manifestation of symptoms of ADHD, performance deficits on neuropsychological tasks, and response to stimulant medication that constitutes the most common treatment of this disorder. First, we consider evidence of the presence of dopamine deficits based on the recent literature that (1) confirms abnormalities in dopamine-modulated frontal-striatal circuits, reflected by size (smaller-than-average components) and function (hypoactivation); (2) clarifies the agonist effects of stimulant medication on dopaminergic mechanisms at the synaptic and circuit level of analysis; and (3) challenges the most-widely accepted ADHD-related neural abnormality in the dopamine system (higher-than-normal dopamine transporter [DAT] density). Second, we discuss possible genetic etiologies of dopamine deficits based on recent molecular genetic literature, including (1) multiple replications that confirm the association of ADHD with candidate genes related to the dopamine receptor D4 (DRD4) and the DAT; (2) replication of differences in performance of neuropsychological tasks as a function of the DRD4 genotype; and (3) multiple genome-wide linkage scans that demonstrate the limitations of this method when applied to complex disorders but implicate additional genes that may contribute to the genetic basis of ADHD. Third, we review possible environmental etiologies of dopamine deficits based on recent studies of (1) toxic substances that may affect the dopamine system in early development and contribute substantially to the etiology of ADHD; (2) fetal adaptations in dopamine systems in response to stress that may alter early development with lasting effects, as proposed by the developmental origins of health and disease hypothesis; and (3) gene-environment interactions that may moderate selective damage or adaptation of dopamine neurons. Based on these reviews, we identify critical issues about etiologic subtypes of ADHD that may involve dopamine, discuss methods that could be used to address these issues, and review old and new theories that may direct research in this area in the future.